If the keynote address by Steve Jobs last Monday, and his hotly anticipated introduction of the iPhone 4, made it a big day for techies, then wine lovers are up for a whole bunch of dramatic days right now. 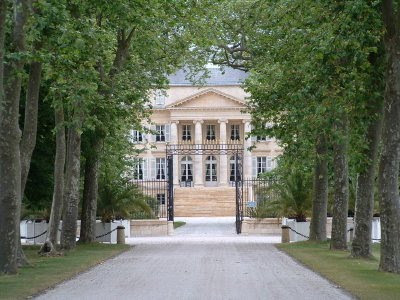 That’s right: It’s time to follow the release prices of the 2009 Bordeaux, and, yes, collectors and drinkers of these wines will be hotly debating the rationale (and, perhaps, justifiability) of the prices both as they roll out and well afterward...even as the wines are still resting in their barrels. And for wine lovers, there is ample opportunity right now to waste hour upon hour during your up-coming work days, following, commenting on, and debating the prices in real time through Twitter, Facebook, and other social networking sites. So while getting wrapped up in this minute-by-minute obsession may not be terribly good for your work-time productivity, it sure is entertaining. And, at the very least, will help you gauge the market and determine whether it really is a good idea to get into it this year. Whatever you decide, it’ll be an interesting, drama-filled lead-up, to be sure.